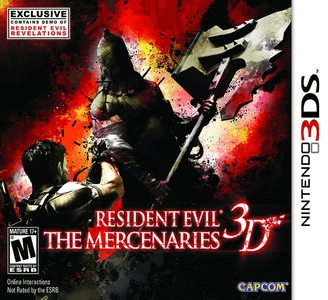 Resident Evil: The Mercenaries 3D is a third-person shooter video game developed by Capcom for the Nintendo 3DS and the 18th installment of the Resident Evil series. A combination of the Mercenaries minigames featured in Resident Evil 4 and Resident Evil 5, players must defeat as many enemies as possible within a set time limit. Resident Evil: The Mercenaries 3D has few problems in Citra. Graphically, the game appears to suffer from little to no issues, but requires powerful hardware to obtain good speed. It suffers from minor audio issues at times, but this does not hinder gameplay in any way. Game runs full speed on Canary 605 Build but suffers from lag on title screen menu, lacks BGM (which worked fine in previous builds) and missing Graphic effects. Press anywhere on the touch screen when you first start the game, this isn’t a crash or a black screen, it’s just a message that doesn’t appear due to a bug in the emulator.